Chris Huppe spent more than a dozen years working on better ways to use the green waste from his landscape maintenance company. 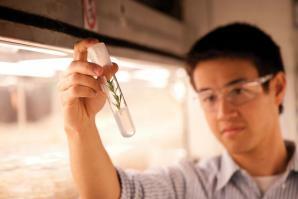 Much of that work involved grinding the vegetation to create biofuel for cogeneration plants. It helps save the environment, and this year it may also save the company some money on its income taxes. Since Ronald Reagan sat in the White House, the federal government has allowed some companies to write-off certain research and development costs. A lot of business owners know little about it. Until this year, Huppe was one of them. “The windfall should be pretty substantial,” says Huppe, who is also laying the groundwork to get the tax credits for a new venture. Even some of those who have heard of the credits have wrong ideas about it, according to accounting experts. One reason companies miss out on the tax credit is that the rules used to be strict, and many people — even some accountants — assume they still are. “When it was first passed, the only people really able to take advantage of it were the Fortune 100 companies,” says Smith Miller, chief executive of Strategic Tax Solutions in Roseville. The law practically required companies to invent a new machine or process and back it up with documentation. The rules were streamlined in 2003, but the message hasn’t spread. As long as a company sets out to improve the performance, reliability or quality of a product or process, it has a good shot at the tax credit, Miller says. There are some limits. Research and development must be technologically based, relying on physical, biological, engineering or computer sciences. That rules out such things as market research, efficiency surveys, quality-control testing and routine data collection. So law firms, accountants and doctors aren’t likely to qualify for the credit. The credit covers in-house expenses such as wages and the cost of supplies and equipment, but only to the extent they are used for research and development. That means if a worker splits his time between research and other work, the company had better keep track. Some money spent on outsourced research can qualify for a credit too. It’s easy to see how a structural-engineering firm or an equipment manufacturer might qualify, but the credits can also extend to less obvious companies, such as makers of musical instruments or to Huppe’s landscaping business. “I’ve even done studies for a dairy,” Miller says. The dairy farmer was working on a better way to purify water for the cows, which would keep them healthier and more productive. That was good enough to qualify for nearly $300,000 in research and development tax credits. The trouble is, a lot of companies never make the call. “I have gone out and met with a number of companies that have looked at R&D credits in the past and didn’t qualify for them, and figure they don’t qualify today,” says Carey Cadle, a partner with accounting firm Gallina LLP in Roseville. Some types of businesses have become more technology-centered over the years, making them more likely to qualify for the credit. With so many companies depending on computers, the possibilities have multiplied. “If you are not able to find a solution off the shelf and you are developing in-house software, that may be qualifying for the credit,” Cadle says. As more companies find out about the tax credit, some are digging back into their records to see what might have qualified in the past. Huppe found out about the tax credits last year and called Miller in to take a look at his biofuel processing operation. “He helped us position our books and our company to take advantage of the R&D tax credits, hopefully this year,” Huppe says. Ordinarily, it would be possible to go back and reconstruct some records that might give him a shot at the tax credits retroactively, but Huppe sold the business at the end of 2008 to Jensen Corporate Holdings Inc. Even though Huppe stayed on as division president, he no longer owns the financial records. It would be up to the parent company to chase after the money now. It still might be worth the trouble. Companies can go back three years to amend federal returns and four years to get the state version of the credit. The documentation rules are strict, and even then the company is almost guaranteed an audit, Cadle says. Even under normal circumstances, the Internal Revenue Service and the Franchise Tax Board take a close look at documentation. “And they are aggressive in their audits because it is an area that has been abused in the past,” Cadle says. Reconstructing past hours and expenses can be relatively easy if the company used a job-costing system, but internal accounting isn’t always set up with research and development tax credits in mind. Still, an audit is not necessarily the end of the world. Miller says he’s fought off 11 audits for his clients. “There are some things I do to protect my client or myself. I turn down about as many engagements as I get involved with,” he says. One red flag, Miller says, is if a company lacks a good tracking system for employee hours. For a company that did well in 2006 through 2008, recapturing the credit now could help keep the operation afloat, he says. If a company is having a bad year and won’t have much profit to offset, the research and development credit also can be carried forward 20 years on federal returns and indefinitely on state returns. Huppe has a second chance, however. He has started a new venture with former Lt. Gov. Cruz Bustamante called Go Green Consultants. The firm helps schools and municipalities reduce energy consumption through conservation measures and some generation technologies. Working with Miller, Huppe set up the books so the research and development data could be easily extracted at tax time. Huppe’s new company is taking extra care to set up its books to qualify for the credit, but the research and development would have been the same. And while the rules were made more inclusive, it’s still a relatively complicated computation, he adds. There are actually several different formulas to choose from, and they give different results. And this being tax law, some of the rules seem arcane to the uninitiated. One is whether a firm is classified as a startup or as a historical company. Credits also are handled differently for a C-corporation, which pays taxes, than for flow-through entities that pass profits along for individuals to pay, including S-corporations, partnerships and limited liability companies. And then there’s the dreaded alternative minimum tax. Without getting into the details, a company saddled with AMT may not be able to take an R&D credit it would otherwise qualify for, Miller says. That’s changed slightly as of Sept. 27, when President Obama signed the Small Business Jobs and Credit Act. One provision basically allows small business a shot at the credit despite the AMT, and extends the carryback period, says Ernie Sanders, a principal with the Reznick Group. It applies to sole proprietorships, partnerships and non-publicly traded corporations with $50 million or less in average annual gross receipts for the prior three years. The carry-back can reach five years. For an estimate, however, figure that the federal credit will return about 6 cents of each $1 invested in research and development, while the California credit will return 7 cents. For a conservative estimate, $100,000 in qualifying costs could knock $10,000 off a combined tax bill. It’s not hard to reach that $100,000 either, Cadle says. The wages for one full-time engineer could do it. California also allows a business to offset its entire tax bill with the credit if the company had less than $500,000 in taxable income. And if it earned more than that, the credit can be used to offset up to half of the tax bill, Cadle says. There are two more aspects of the tax credit that some people don’t realize. First, it officially doesn’t exist for 2010. The second, though, is that it isn’t a problem. The tax credits were created as a temporary measure in 1981 and renewed several times. The federal government has yet to renew them for 2010. Usually it’s done over the summer, but sometimes it doesn’t happen until late. “There have been times when the year end passes, and it gets renewed retroactively,” Cadle says. Right now there are five different pieces of legislation in Congress that would extend the credit and modify some of the calculations, Sanders says. President Obama has indicated that he wants to make the credits permanent. Having it in the news has not made the phone ring off the hook, Rosati says, but Miller finds himself fielding more calls. And Cadle sees a permanent credit as one more way to stabilize the business climate. 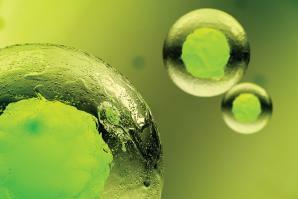 Can stem cells grow the region’s bottom line? A broken leg used to be a death sentence for a horse. Now, the University of California veterinary teaching hospital in Davis is using stem cells to help the horses heal quickly. A few months after the 2002 launch of Arcadia Biosciences Inc. in Phoenix, CEO Eric Rey insisted the company move to California. Not to Silicon Valley, but to Davis.